Preparing my Cookbook Guru post earlier in December I came across this recipe in my old battered blue folder. Nancy, a Calabrian co-worker in the kitchen shared her light and moist Hazelnut Sponge recipe with me in the 1980s. I made it a couple of times then promptly forgot about it. Planning a gluten free Christmas feast is an enormous shift in thinking for me. Because berry season is in full swing at Christmas, I have often served a traditional English berry filled Summer Pudding in the past, but making it in the traditional style using gluten free bread as a casing is out of the question, so I used this recipe as an alternative, pliable enough to contain the berries and (fingers crossed) not collapse when unmoulded, but more about summer pudding later. It’s been a good ten years since I last made this hazelnut sponge. I’d forgotten just how good it is. It’s a wonderful light alternative sponge for wine trifle, delicious dressed up with chocolate mousse, cream or ganache, or simply dusted with icing sugar, a recipe useful for many purposes, including as a casing for summer pudding! Check out the monthly Cookbook Guru hosted by Sharing the Food We Love and join in the fun. 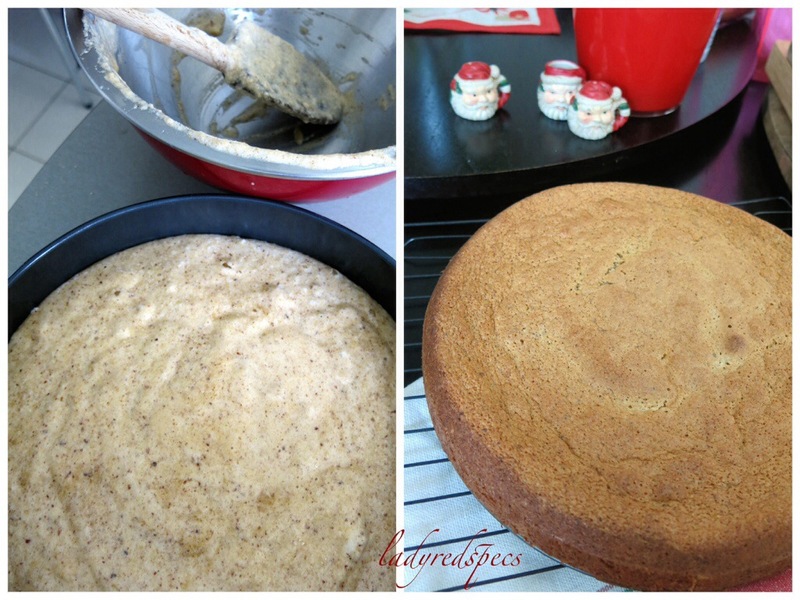 Grease a 20cm cake tin and line it with baking paper. Mix together the hazelnut meal, sifted icing sugar, egg yolks and rum. 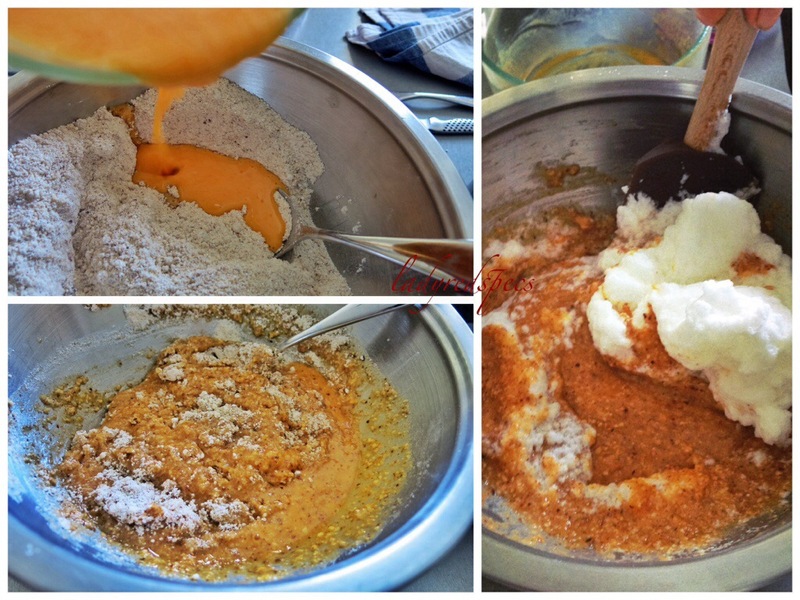 Whisk the egg whites into soft peaks, then fold 1/3 of the egg whites into the nut mixture, combining thoroughly. Very lightly fold the remaining egg white into the nut mixture. Pour into the prepared cake tin, then lightly tap the tin on the bench to remove any large air bubbles. Bake 180C for 40 minutes, or until done when tested with a skewer. Happy new year to you too, Sandra. A fresh new year to look forward to. Hope it turns out well for all of us. Thanks! I had forgotten how good it is! I hope Christmas was good for you Laura we has a great day with friends and family. Shaved dark chocolate would be a lovely addition to this cake. Thanks Denna it’s a fabulous cake! 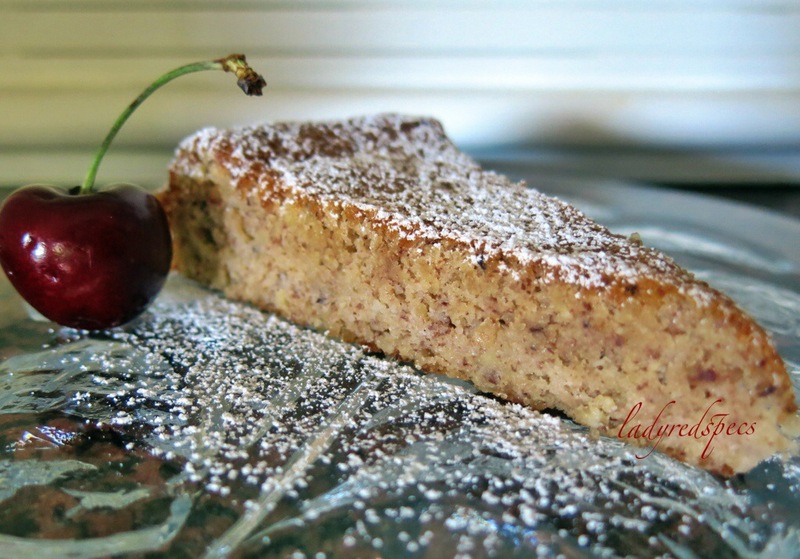 This entry was posted on December 27, 2013 by ladyredspecs in Baking, Cakes, Desserts, FODMAP diet, Food, Gluten Free, Gluten free baking and tagged cake, FODMAP friendly, gluten free, hazelnuts, sponge cake.